A FORMER employee has sued the Federal Reserve Bank of New York, saying she was wrongfully terminated because she refused to change the results of her investigation into the banking firm Goldman Sachs. 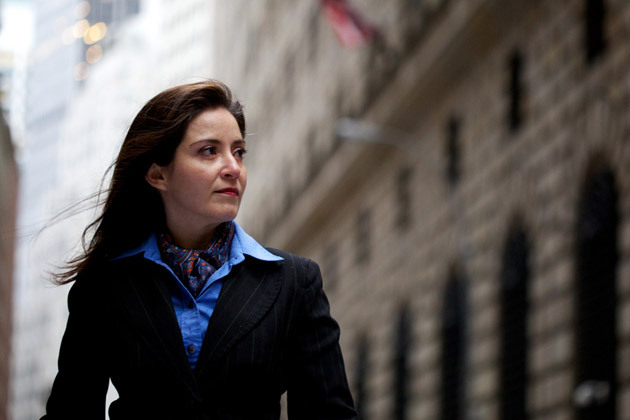 Carmen Segarra filed her federal lawsuit against the New York Fed on Thursday in Manhattan. Segarra’s lawsuit says the New York Fed interfered with her examination of Goldman Sachs’ legal and compliance divisions and directed her to change her findings. She says she refused and was fired three days later, in May 2012. The firing caused her career in banking to be “irreparably damaged,” says her lawsuit, which seeks her reinstatement to her position as senior bank examiner, back pay, compensation for lost benefits, compensatory damages, lawyer’s fees and other expenses. Segarra’s finding led to the New York Fed’s Legal and Compliance risk team to approve downgrading Goldman’s annual rating pertaining to policies and procedures, the lawsuit said. It’s not clear if the approval led to an actual rate change, but the lawsuit said two Fed officials, named as defendants in the lawsuit, were concerned that a downgrade would hurt the Wall Street bank financially.